Year 10 Budehaven student, Indigo Haynes, East Cornwall MYP, voiced her support for last week’s UK Youth Parliament campaigns on lowering the voting age to 16 and combating knife crime. She also vowed to campaign on the mental health crisis, the most pressing issue voted on by Cornish teenagers in the UK-wide ‘Make Your Mark’ survey. 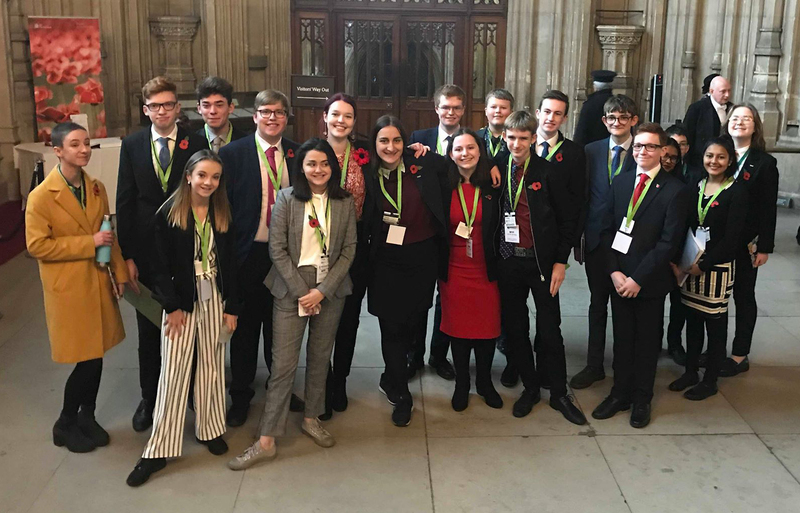 The decision came following Indigo’s attendance at the Youth Parliament’s House of Commons debate on November 9th, chaired by the Speaker, Rt Hon John Bercow MP. Indigo will be actively campaigning on these issues across East Cornwall. Members of Youth Parliament are set to formally launch the campaigns during their big day of action in January 2019.